When it comes to working with torrent desktop clients, it often happens that they are extremely difficult to configure, and you never manage to optimize the results they offer, while this problem can actually be solved very easily by using OmegaSeeder. The first difference between OmegaSeeder and the rest of torrent clients, is that it avoids complex configurations and the subdivision of the interface into multiple screens. This leaves the user with a main screen where it's possible to see the download and little more. As well as the options to add torrent files to the download queue, the only other options offered by OmegaSeeder are to apply a limit to the maximum upload or download speed, to change the download folder and to search for new files to download to our computer. 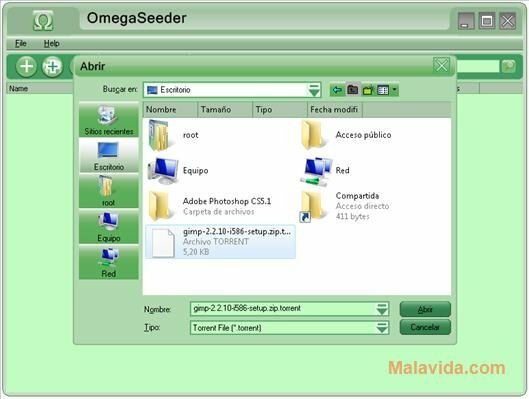 Therefore, if you want to have access to a desktop client for the BitTorrent network, you only have to download OmegaSeeder to your computer for free.